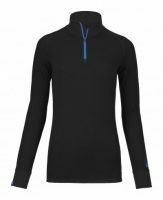 On the Slopes is based on the 5 main factors, you must make sure you read these before heading out. Leader switches to Partner-Check Mode, all others to transmit. The group members walk past the leader one by one 5-10m after an interval. After a successful check, the leader also switches to transmit mode. Transceiver usability, this is should be tested prior to your tour ideally. Battery Check, Change batteries if the battery power is below 50%! Please do not use rechargeable batteries. 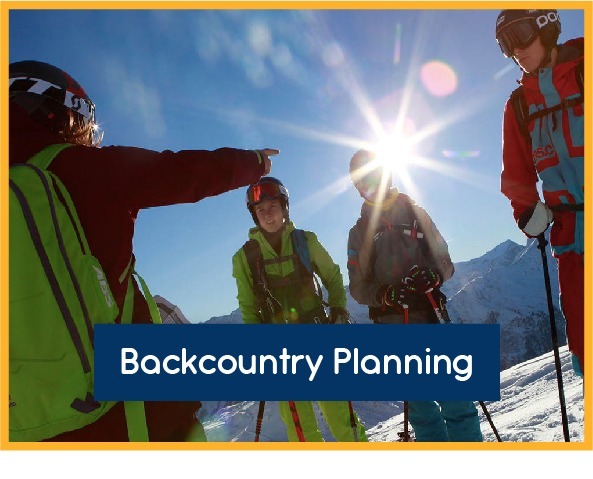 On the slopes adapt your route to the terrain, gullies, troughs and unnecessary steep slopes should be avoided, as they may hide danger. Actively watch for alarm signals. Get your bearings regularly both on the terrain and on the map and keep a regular check on your tracks. Check whether slope steepness matches the dangerous situation. A slope measuring device, the Ortovox S1 Plus or your ski poles can be used as measuring instruments (Pendulum Method). You should either ascent steep slopes one by one or keep a distance of 5-10m (15-30ft). Recent avalanches are a clear indicator of a high risk of avalanches, do not get caught in a secondary avalanche. Heading all visible alarm signs is vital on every tour. 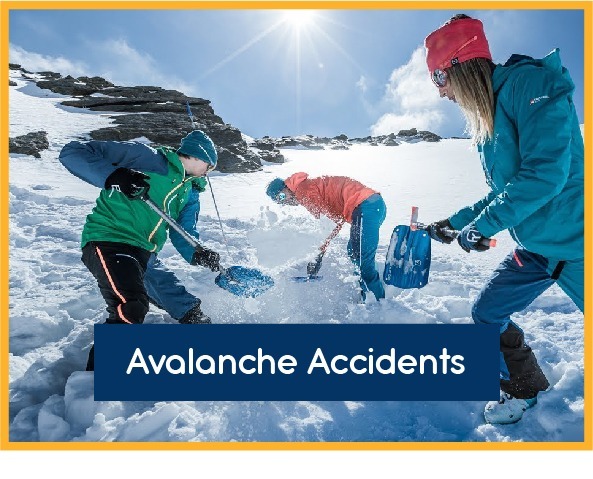 Heavy precipitation, especially rain, and rapid increases in temperature or wind can lead to an increase in the risk of avalanche. 1. Cornices are a sign of high winds. Dangerous snowdrifts accumulate on the lee side. 2. Snow Banners are signs of high wind activity and snow drifting on the lee side. 3. Drifting Snow If the snow-drifting is caused by the wind, this can often be recognised by wind tracks on the snow surface (e.g. zastrugi, dunes or wind scoops). 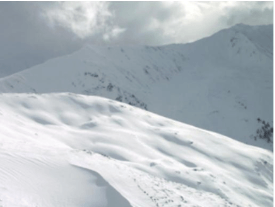 Drifting snow is one of the main causes of slab avalanches. 4. Recent Avalanches Indication of an unfavourable and unstable snowpack. The surrounding terrain with a similar slope aspect and height should be avoided here 5. 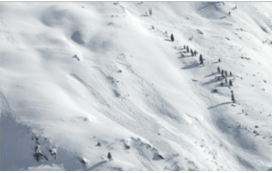 Naturally Triggered Avalanches usually occur when there is a high avalanche risk. Especially when the weather warms up in the daytime in spring, they serve as an indicator of danger. 6. Cracks in the snowpack indicate that it is ready to break. They are often accompanied by whumping or settling noises. 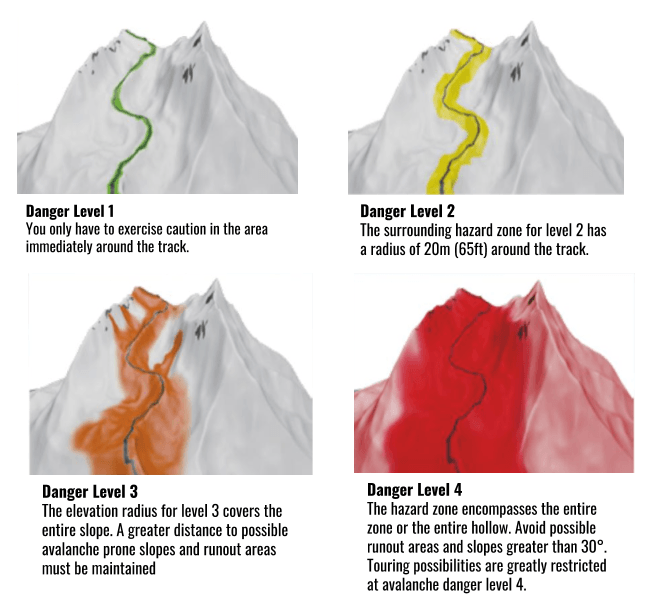 Understanding avalanche danger levels and Hazard Zones. 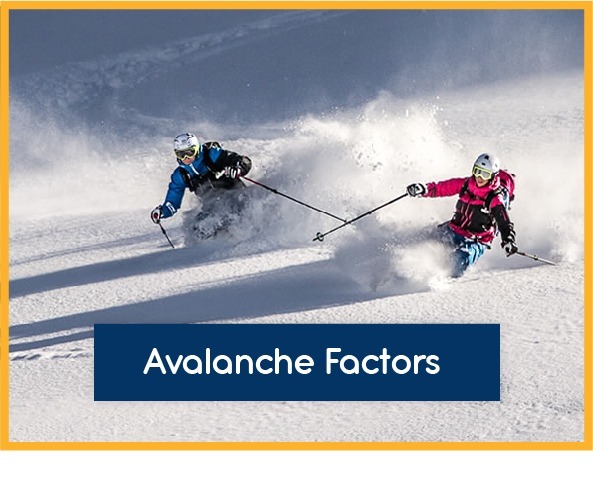 The relevant evaluation radius increases significantly with increasing avalanche danger level. It is possible to descent in a group only in very safe conditions. A safety interval of approx. 50m (160ft) is recommended on any descent. In case of less clearly safe conditions, skiers should descend one by one. The leader should travel out in front and wait at regular intervals away from the descent route at safe or sheltered assembly points. In case of poor visibility and poor snow, skiers should descend in the tracks at safe intervals one after the other. Members of the group should watch out for one another. In the forest, the buddy principle applies: every two group members are responsible for each other and do not let each other out of their sight. The leader is NOT TO BE PASSED. Falls and jumps impact the snow cover with 6-7 times body weight and should be avoided particularly in ridge areas and steep sections!